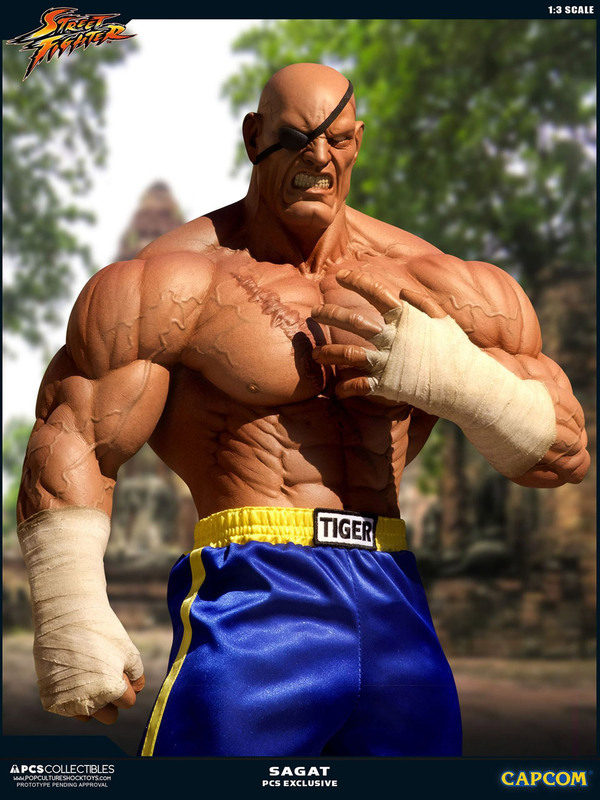 Street Fighter fans, the king of muay Thai is coming for your money. 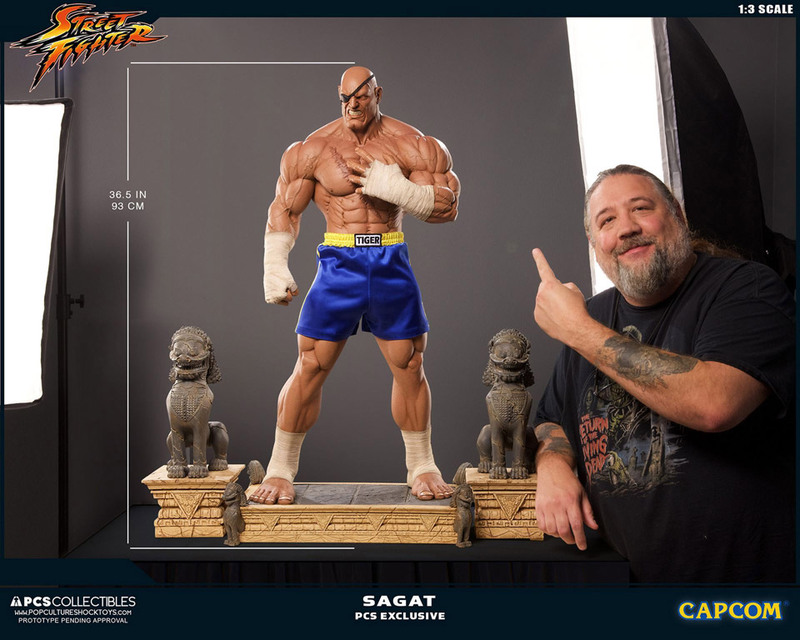 Pop Culture Shock Collectibles recently unveiled its third-scale statue of Sagat, and it looks awesome. 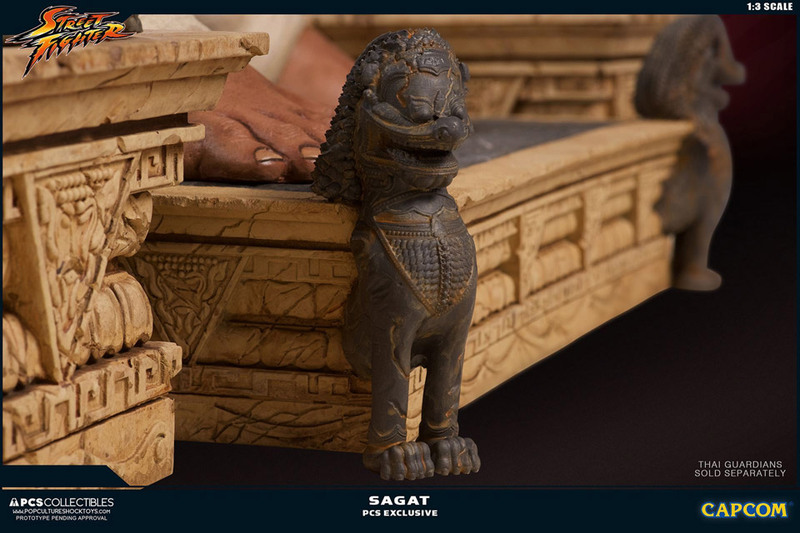 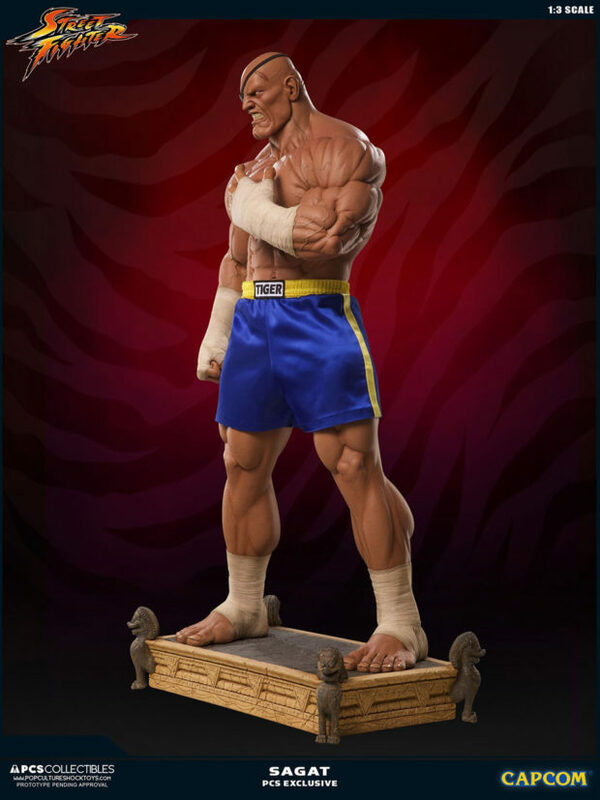 The extremely detailed statue is 36.5″ tall and comes in three variants. 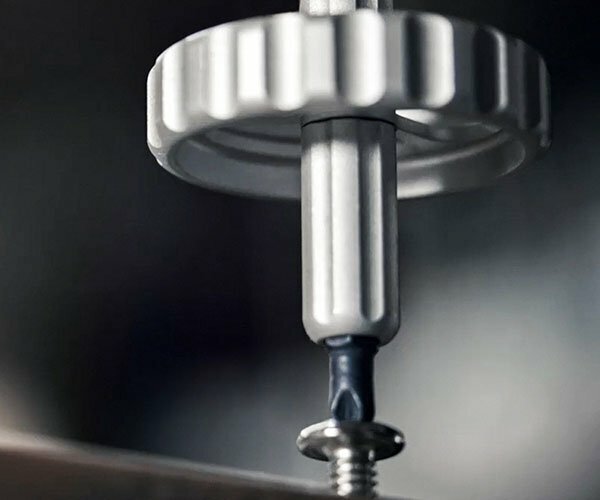 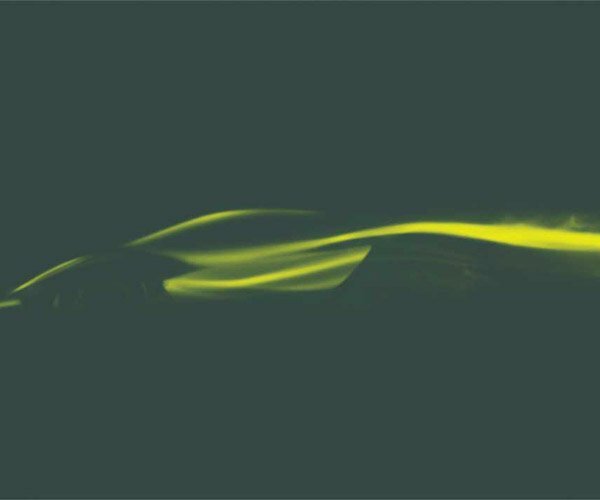 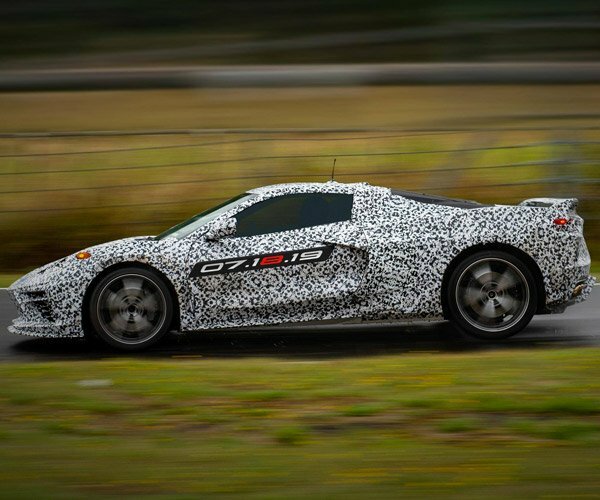 The standard or EX version has no extra parts. 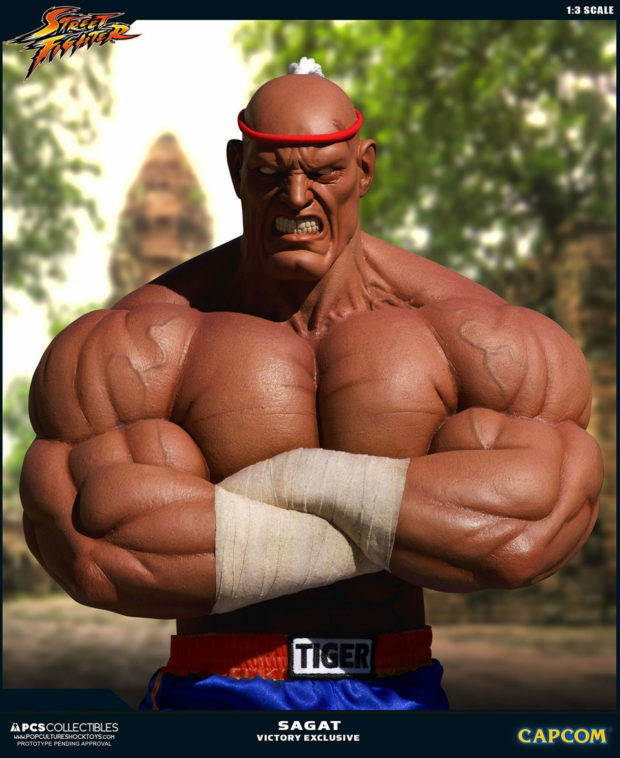 Just Sagat grimacing at you while flexing his muscles. 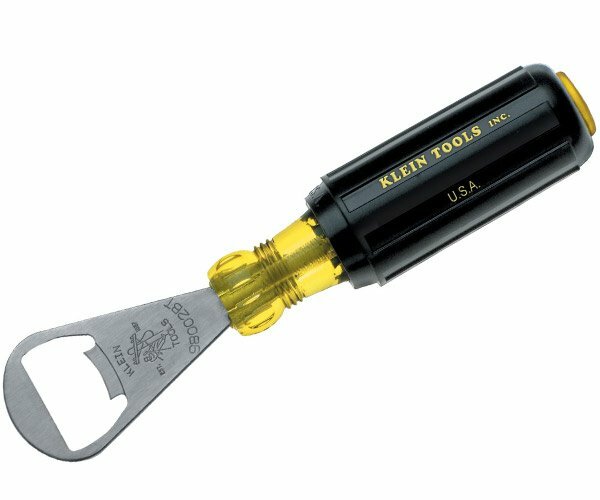 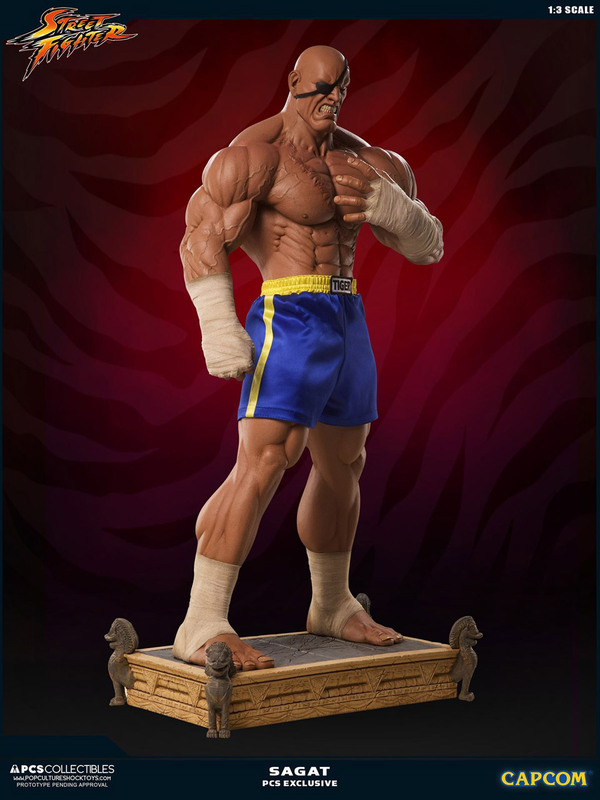 This one costs $1,000 (USD). 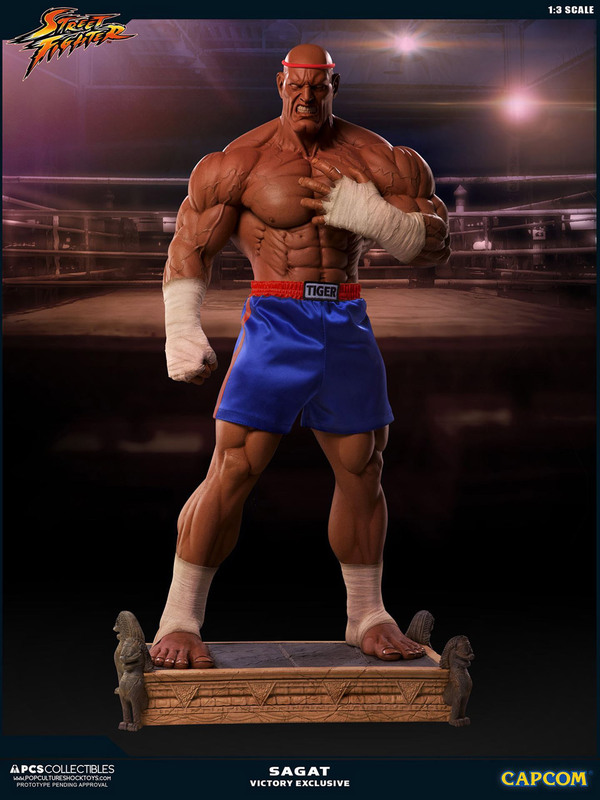 For an extra $150, you can get the Emperor of Muay Thai version. 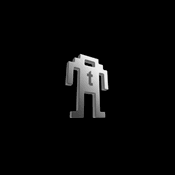 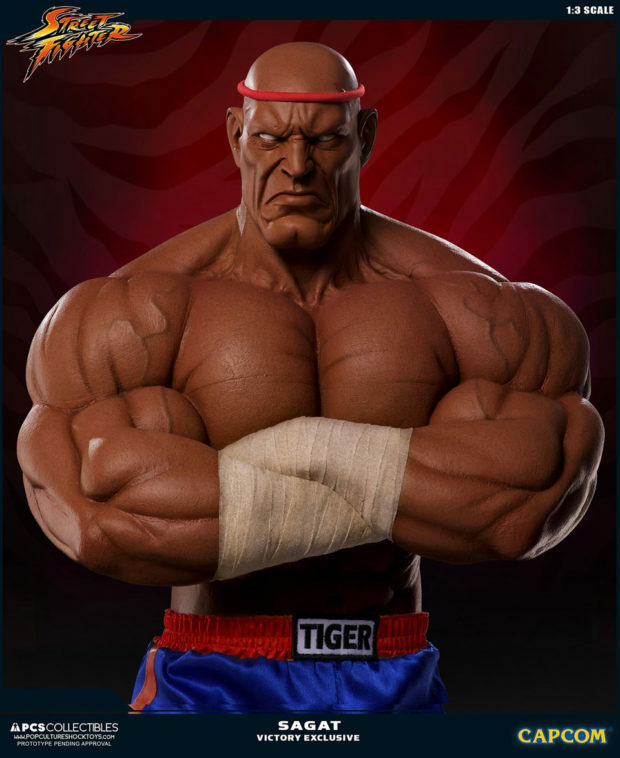 This adds an extra head with a scowling expression and an extra torso with folded arms. 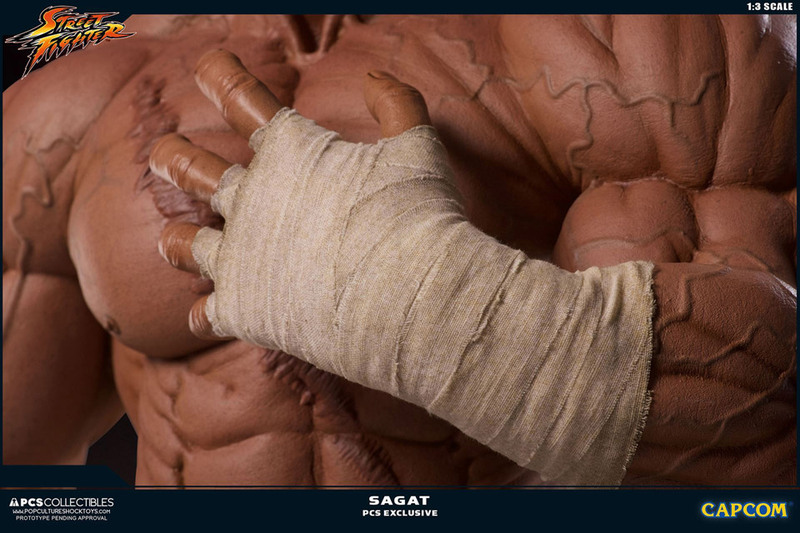 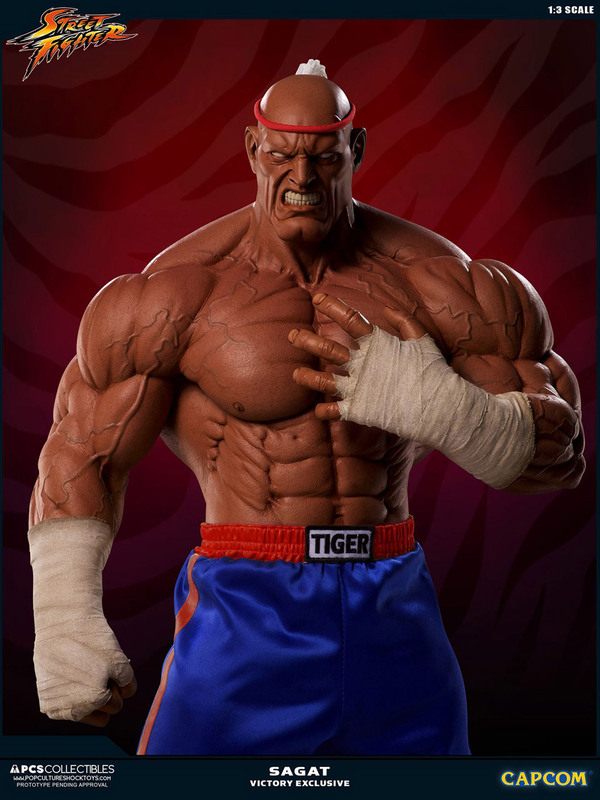 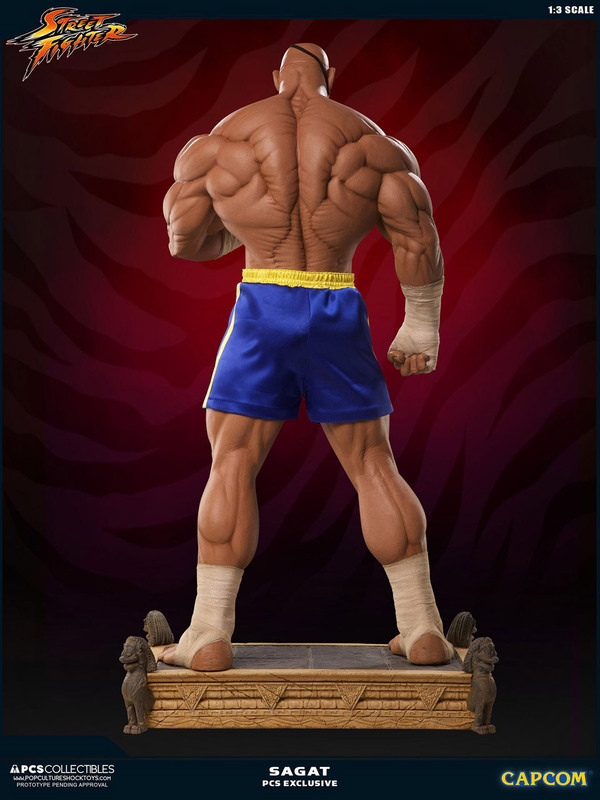 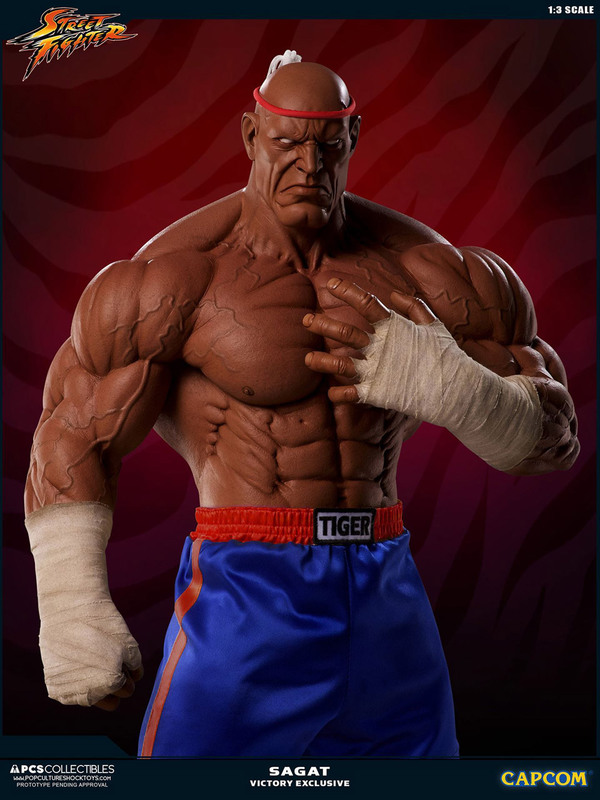 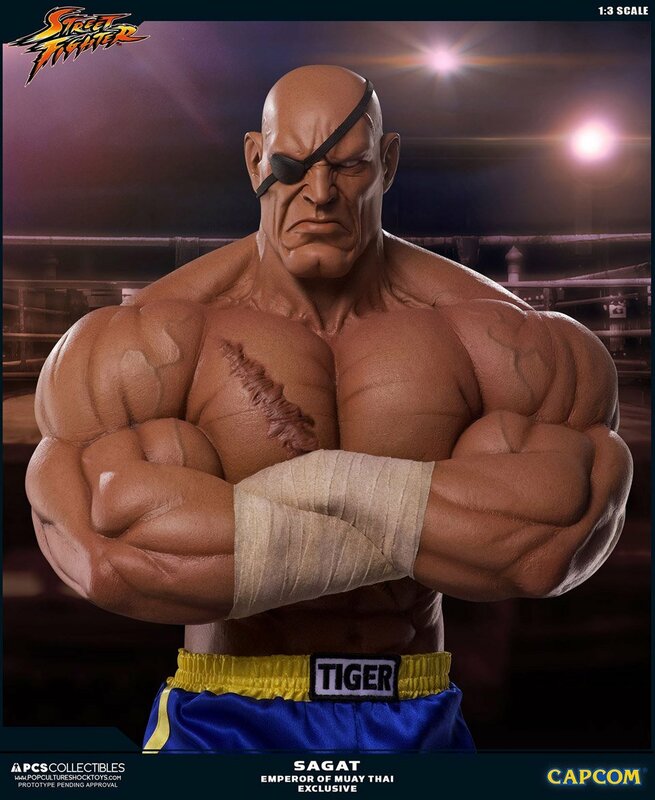 Alternatively, you can spend your $1,150 on the Victory EX version, which depicts Sagat with a darker skin tone and no chest scar or eyepatch. 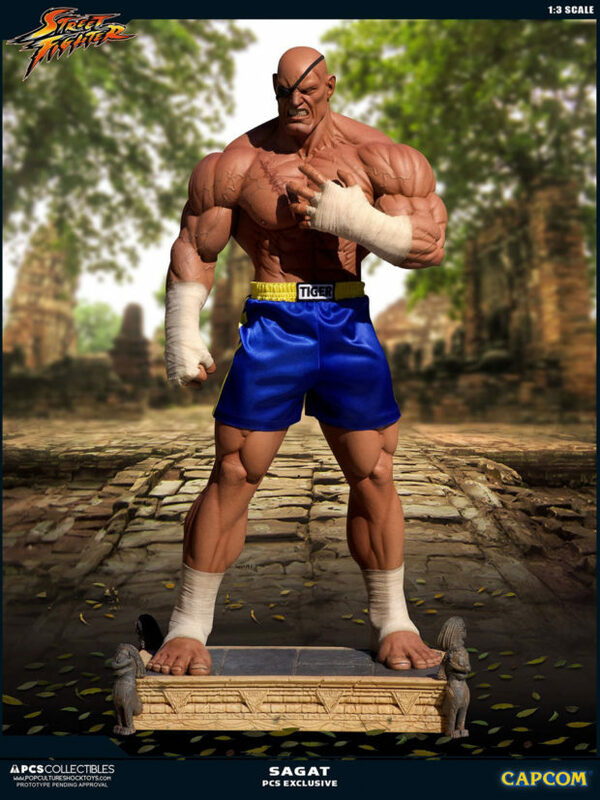 This version also has a blue trim on its shorts instead of yellow and its two heads are wearing a muay Thai headband. 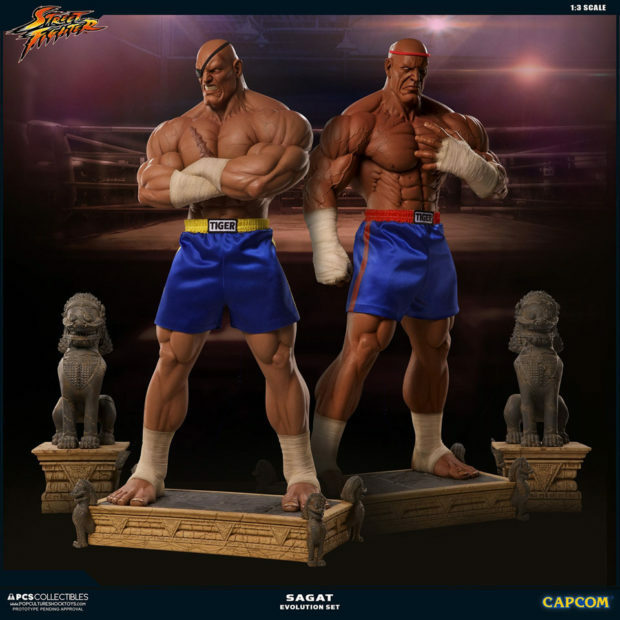 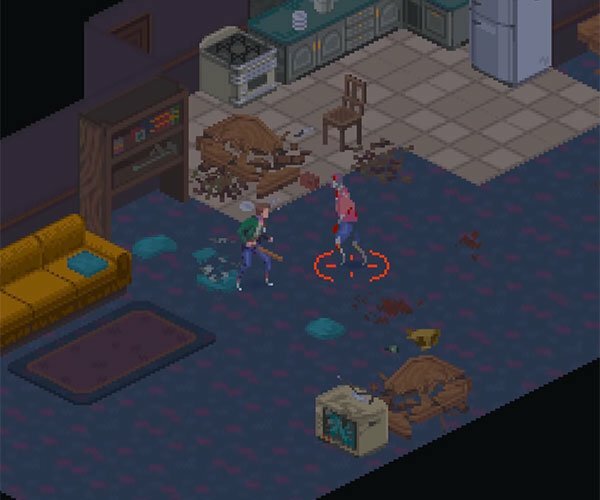 It also comes with two torsos. 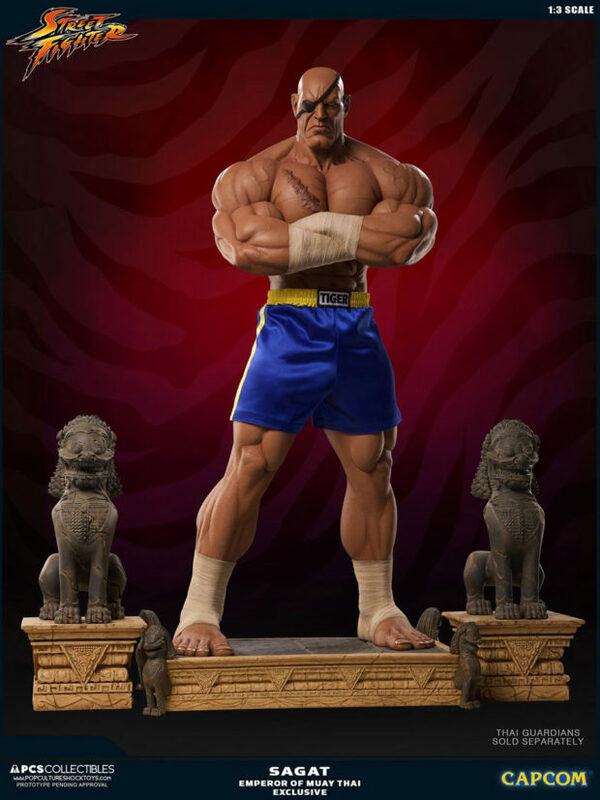 If your money’s not knocked out yet PCS Collectibles will deliver the killing blow with the 16″ tall Thai Guardian statues – the dog-like statues that are in the first two photos – which are sold separately for $125 per pair. 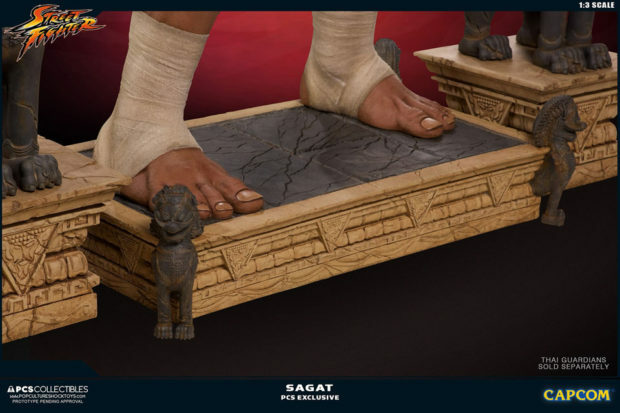 You see now why they call Sagat the king.